Programs we offer for you: Wing Lighters, True Tech Mobile Accessories, iShield Eyewear & True Gear North Winter Accessories. Scroll down for more information on each one of our programs. Our offerings are wide and always updating to stay on trend with the latest in fashion and technology. We make it easy to order new programs with great selling SKU's and high margins. As items sell, we also make it easy for you to refill with simple reorders. 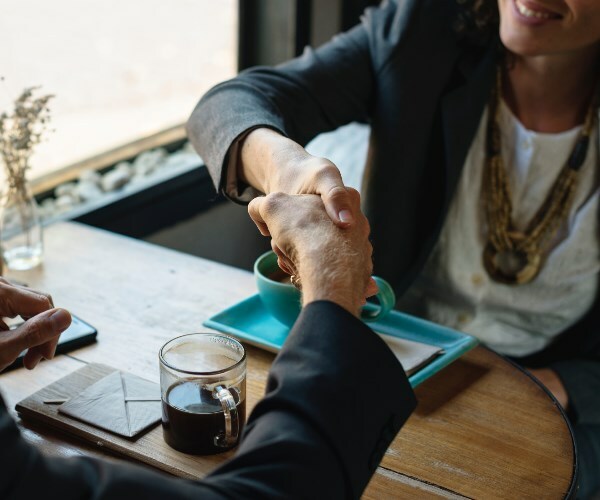 We offer great selling programs in a few major categories including: sunglasses, reading glasses, mobile accessories, winter apparel, leather, personal care and lighters. If you do not see something that is right for you and your customers give us a call at 866-597-0240; we would love to discuss a custom program that is optimized for your customer base. Militti Sales now carries a line of lighters under the brand Wing. As with our other products we are the direct importer of the lighters. We fully stand behind our line just like our other brands. These lighters will follow the quality that we put into our mobile accessories and fashion accessories. Within the lighter line we carry a wide range of lighters. We have disposable, refillable, electronic, oil, and torch style lighters, along with butane to refill the lighters. We are always bringing in new styles and colors to stay on top of what is on trend. Shipping lighters is hazourdous, and not everyone can or knows how to, but we do. We know how to properly and safely ship all of our lighters to your store fronts. Give us a call to speak with one of our dedicated team members and experts in lighters. The hunter does not always stay stationary. A hunter moves across diverse terrains and through changing backgrounds of foliage, which is often influenced by light and shadows. Let's face it, trees and brush do not move and they stand out as solid objects from a distance. Traditional “sticks and leaves” camouflage will often fail because they tend to become solid forms and “Black Out”, therefore revealing the shape of the hunter which eliminates the purpose of the stalk. Digital, static, and hard line shape blurred camo works good at a distance for outline break up in various terrains, but is not effective as distance is closed as it lacks depth, highlights, and shadowing. Prym1 was created by a wildlife artist who understands depth, colors, shadows and highlights seen in nature, utilizing organic shapes found in predators’ coats to design a hybrid camouflage pattern that takes versatility to an entirely new level of concealment. Not only will Prym1 conceal your outline and movement in all terrains, but it will effectively blend in creating a false depth perception from your prey allowing you to be closer than you appear and therefore a more effective predator! Let us start off by saying that our eyewear line is not the cheapest on the market. Our retails for our branded sunglasses and reading glasses range from $9.99 to $19.99. For all of our price points within our eyewear, you are getting the highest grade of materials that will also be found in glasses that retail from $35 to $100, and at times ours are better. What makes us different from the competition and their programs is a much wider variety and selection of glasses. Just within sunglasses we have over twenty-four styles and then two to four colors within each style. Within our readers we also have twenty-four styles, then multiple colors within each style, and different diopters within the style and color. Along with a much larger choice of glasses, we also only use the best materials. Our lenses are made of PC (polycarbonate lenses) and PC frames. All of our glasses are also made from new materials, not left overs from another run, which means the glasses are more durable. 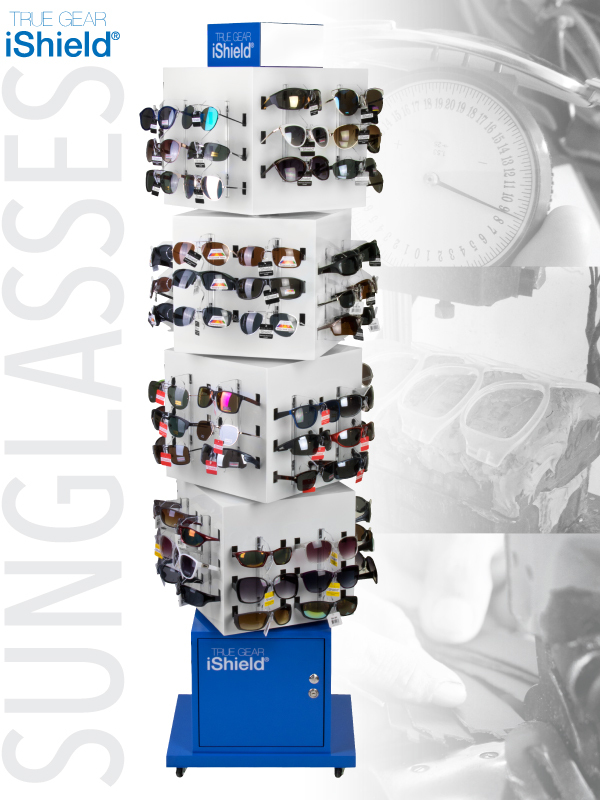 When your customers pick up a pair of iShield sunglasses it just feels right. The customer will feel the difference in quality. You will see that in your store's sales numbers, less returns, and overall customer satisfaction. On trend styles and colors. The mobile device market moves at lightning speed and so do we. We have a dedicated buying team that vigorously checks the quality control of every SKU we bring in. Also with Militti, all of our products are certified and will not break because of a software update. Our cables will continue to charge and sync supported mobile devices just like the day you bought it. With that said, our pricing is reflected but priced very aggressively and competitively to like items on the market. Being a smaller company we are more nimble and can move on a dime. We have been first to market with several items in our True Tech line. We have a display and program for any store size and customer type you may have. With the True Tech brand, you, as the store owner and buyer will enjoy the volume and profitability of our tech line. Compact counter displays and large floor displays to choose from. High margins and a quick turn is a win for everyone. Militti’s True Gear North brand features a wide collection of today's hottest winter wear for men, women and children. Our line includes hats, gloves and scarves of all styles. With True Gear North your customer will be able to stay warm and fashionable through the winter months. There are a variety of retail displays to choose from that feature a multitude of SKU's to best service your store's winter wear needs. Whether your store needs a large display for a long harsh winter season or small counter display for mild winters, Militti has you covered from head to toe.